Stock #45018 Model #2H2NA On Sale through 9/30/19. Stock #45019 Model #2H2NB On Sale through 9/30/19. Stock #20736 Model #2H2NC On Sale through 9/30/19. Stock #45627 Model #2H2NE On Sale through 9/30/19. Stock #20737 Model #2H2ND On Sale through 9/30/19. Stock #45628 Model #2H2NF On Sale through 9/30/19. Stock #20738 Model #2H2NG On Sale through 9/30/19. Stock #20739 Model #2H2NH On Sale through 9/30/19. Stock #20827 Model #2H2NK On Sale through 9/30/19. Stock #20828 Model #2H2NM On Sale through 9/30/19. 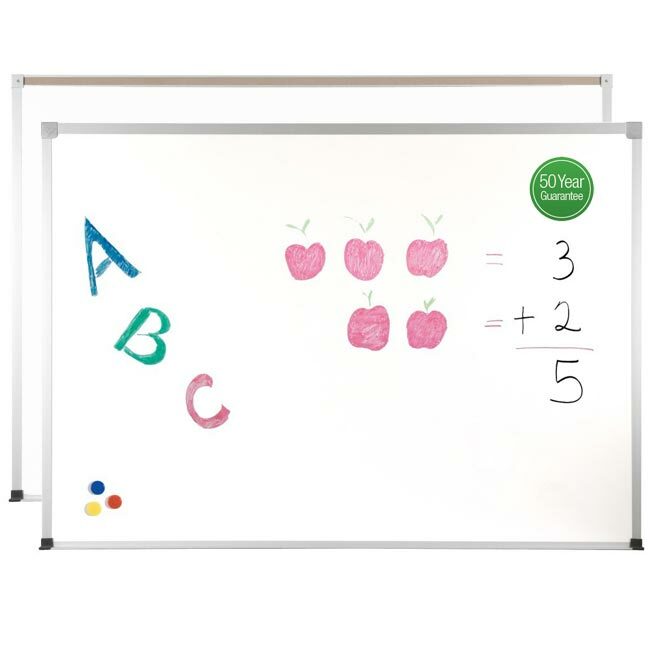 Best-Rite ABC Magnetic Porcelain Steel dry whiteboards with 1/4" thick writing surface are ideal for any classroom, training room or office. 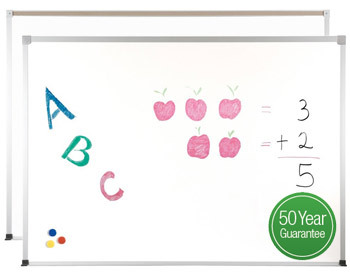 Magnetic porcelain steel whiteboards are engineered for superior color contrast with dry erase markers. Standard gloss dry erase surface provides superior writability and erasability with no ghosting. Reduced surface light distortion enhances visibility to provide optimum eye comfort. These white boards feature a full-length accessory tray, L-Clips, rawl plugs and screws included. Factory framed in aluminum trim.